Eco-friendly 20.9-ounce double wall, 18/8 stainless steel thermal tumbler that displays an illustration of Jerry within his iconic handprint. Features copper vacuum insulation, high polish accent and a push-on acrylic swivel lid. Great travel mug! Holds plenty of liquid. Love the minimalist design. This is THE best thermal cup I’ve ever owned! I filled it with iced coffee one morning and it still had ice in the cup when I got home that evening. Absolutely worth every penny! I love love love the Jerry thermal tumbler!! Great size, keeps things cold as it should and I also love the fact that the top closes tightly unlike other similar models. 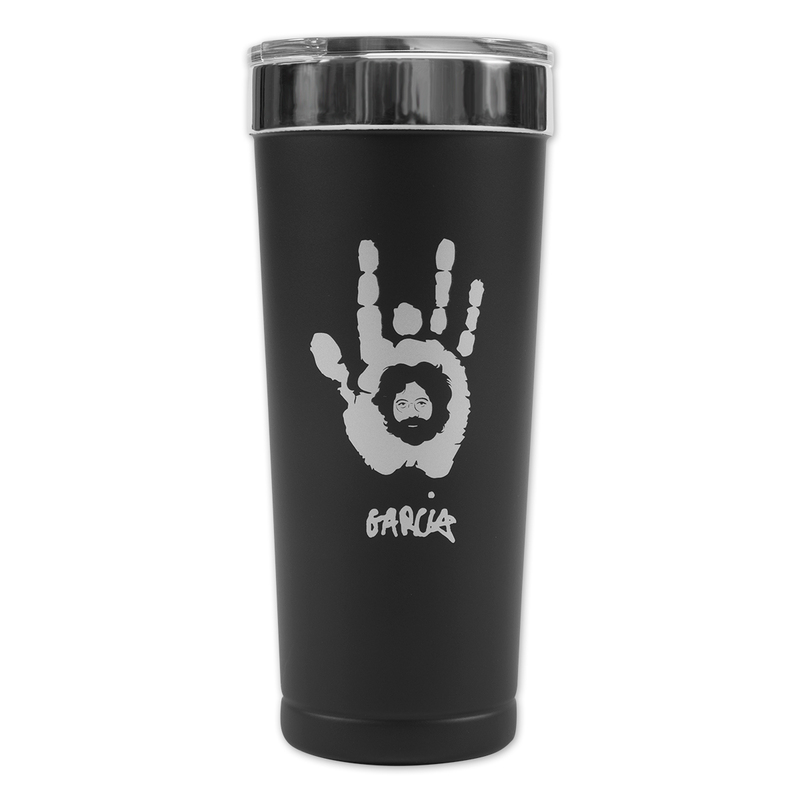 Very cool Jerry Tumbler! !